Alabama Forge Council Tannehill Conference Coverage in NEXT Edition! 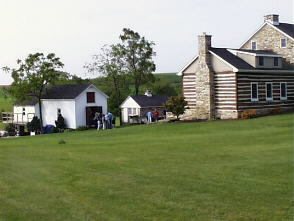 PABA Pennsylvania Artist Blacksmniths Assocation meet was held on the beautiful Fisher farm. The weather was perfect and a wonderful time was had by all. Hap Fisher demonstrated spinning pewter, Dave Fisher demonstrated forging and jig bending, Jim Miklos from American Homestead demonstrated forging a door latch and Josh Greenwood demonstrated forging fancy leaves with Bruce Wallace striking. 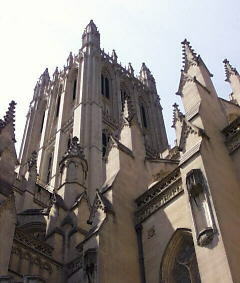 Our trip to the National Cathedral, Washington DC and Pennsylvania Page 9 Tannehill Park to Host AFC conference. 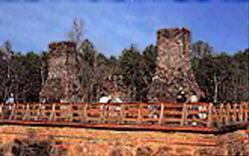 This early ironworks operated up until it was burned during the Civil War by Gen. James Wilson.